Nestled on the beach, this Ormond Beach hotel is within a 10-minute walk of Andy Romano Beachfront Park and Beach at Daytona Beach. Fire House Park and First United Methodist Church are also within 1 mi (2 km). Situated in Ormond Beach, this beach hotel is 0.3 mi (0.5 km) from Fire House Park and 1.4 mi (2.3 km) from Beach at Daytona Beach. First United Methodist Church and St. James Episcopal Church are also within 1 mi (2 km). 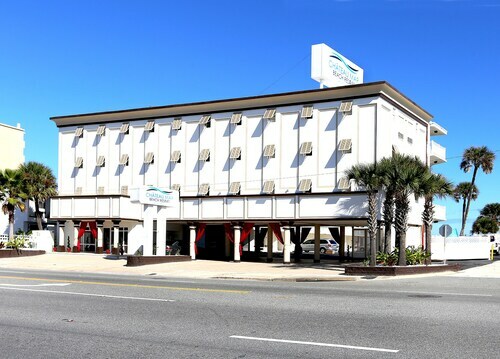 Situated on the Strip, this hotel is within 1 mi (2 km) of Fire House Park and Beach at Daytona Beach. Andy Romano Beachfront Park and First United Methodist Church are also within 15 minutes. 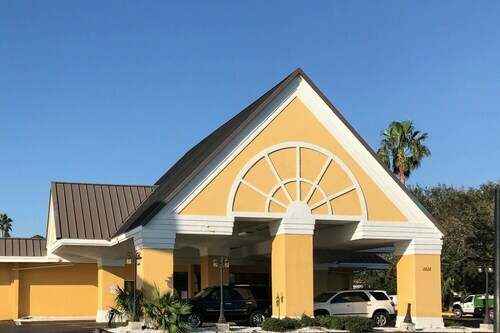 Nestled on the beach, this Ormond Beach hotel is within 1 mi (2 km) of St. Brendan Catholic Church, Tom Renick Park, and Ormond Beach Presbyterian Church. Al Weeks Sr. North Shore Park and Michael Crotty Bicentennial Park are also within 2 mi (3 km). 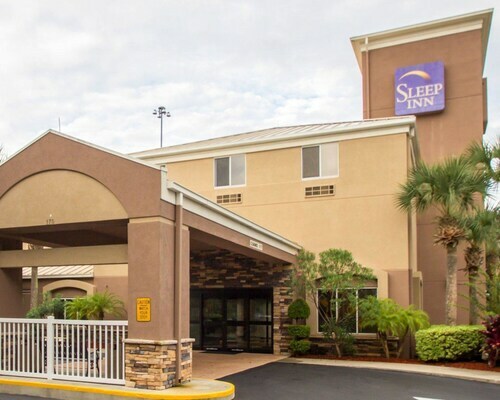 This hotel is 2 miles from Daytona Beach and 10 miles from both Daytona International Speedway and Daytona Beach Airport. 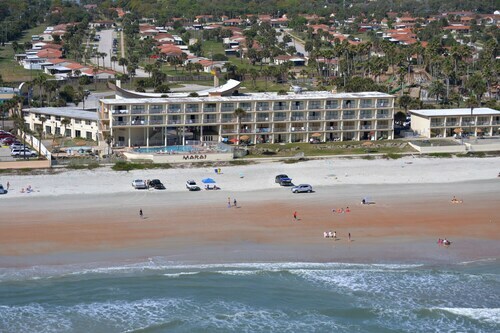 Nestled on the beach, this Ormond Beach hotel is within 1 mi (2 km) of Fire House Park and Beach at Daytona Beach. Andy Romano Beachfront Park and First United Methodist Church are also within 15 minutes. 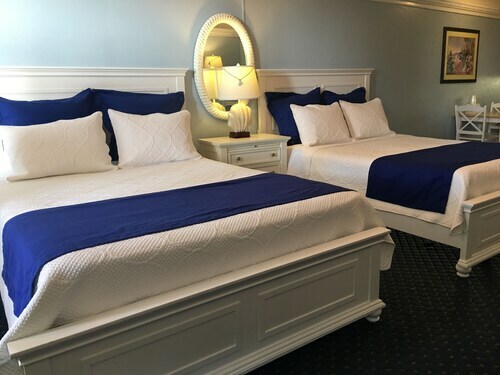 Nestled on the beach, this Ormond Beach motel is within a 15-minute walk of Andy Romano Beachfront Park and Beach at Daytona Beach. Fire House Park and First United Methodist Church are also within 1 mi (2 km). 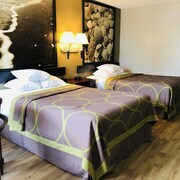 Residence Inn by Marriott Daytona Beach Speedway/Airport is a 3.00 star hotel and previous guests rate it 4.60 out of 5. Homewood Suites by Hilton Daytona Beach Speedway-Airport is a 3.00 star hotel and previous guests rate it 4.60 out of 5. 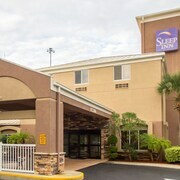 Holiday Inn & Suites Daytona Beach on the Ocean is a 3.00 star hotel and previous guests rate it 4.10 out of 5. Ocean Breeze Club Hotel is a 3.00 star hotel with a guest rating of 2.70 out of 5. Hyatt Place Daytona Beach - Oceanfront is a 3.00 star hotel with a guest rating of 4.60 out of 5. Delta Hotels by Marriott Daytona Beach is a 3.50 star hotel with a guest rating of 4.60 out of 5. 1876 Heritage Inn is a 3.00 star hotel with a guest rating of 3.00 out of 5. Lotus Boutique Inn & Suites is a 3.00 star hotel with a guest rating of 4.20 out of 5. 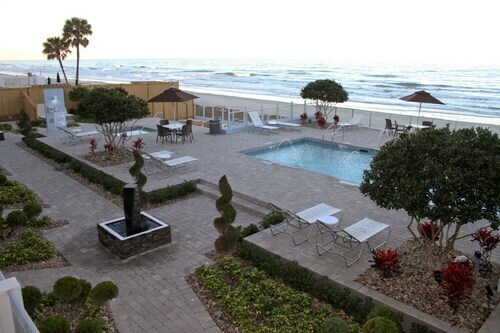 Daytona Beach Resort Hotel & Suites is a 3.50 star hotel with a guest rating of 4.00 out of 5. The Riverview Hotel is a 3.00 star hotel with a guest rating of 4.60 out of 5. Ocean East Resort Club is a 3.00 star hotel with a guest rating of 4.10 out of 5. Bluegreen Vacations Casa del Mar- Ascend Resort Collection is a 3.00 star hotel with a guest rating of 3.90 out of 5. 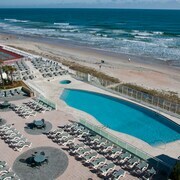 Hilton Daytona Beach Oceanfront Resort is sandwiched between the waterslides of Daytona Lagoon and the Atlantic. Daytona Beach International Airport is a 12-minute drive, and the city’s Speedway - home to the Daytona 500 - is less than 5 miles (8 km) away. Some 30 golf courses dot the region. Situated in Orange City, this bed & breakfast is within 3 mi (5 km) of Blue Springs State Park, Thursby House, and Immanuel Presbyterian Church. Wayne G. Sanborn Activity Center and David Disney Tennis Center are also within 6 mi (10 km). Situated near the airport, this hotel is within a 10-minute walk of Dale Earnhardt Sr. Statue and Volusia Mall. Daytona International Speedway and Embry-Riddle Aeronautical University are also within 2 mi (3 km). 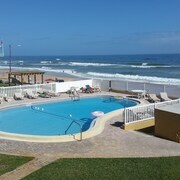 What’s better than a beautiful Ormond Beach hotel near the beach? Finding that hotel for a deal! Check out our amazing deals on stunning Ormond Beach beach hotel properties to find exactly what you’re looking for on your next trip to Ormond Beach. 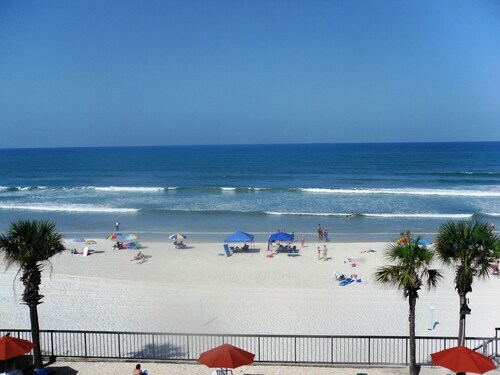 Hilton Daytona Beach Oceanfront Resort: has a guest rating of 4.00 out of 5 stars. 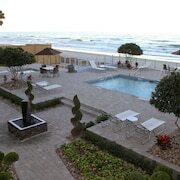 The Shores Resort & Spa: has a guest rating of 4.20 out of 5 stars. Hammock Beach Resort- A Salamander Golf and Spa Resort: has a guest rating of 4.40 out of 5 stars. Plaza Resort & Spa: has a guest rating of 3.90 out of 5 stars. Alling House Bed and Breakfast: has a guest rating of 4.80 out of 5 stars. The Riverview Hotel: has a guest rating of 4.60 out of 5 stars. Book River Lily Inn Bed and Breakfast, which has a guest rating of 4.90 out of 5 stars. Book Black Dolphin Inn, which has a guest rating of 4.90 out of 5 stars. Book Inn On the Avenue, which has a guest rating of 4.80 out of 5 stars. My husband and I thought the washer and dryer in our unit was a bonus. We also appreciated the lounge chairs that were provided on the beach and that everyone respected the quiet hours. The staff was very friendly and helpful. After saving for 2 years for a beach/ocean vacation, we were disappointed that we didn't have an ocean view. Front office manager was very customer friendly and helpful. 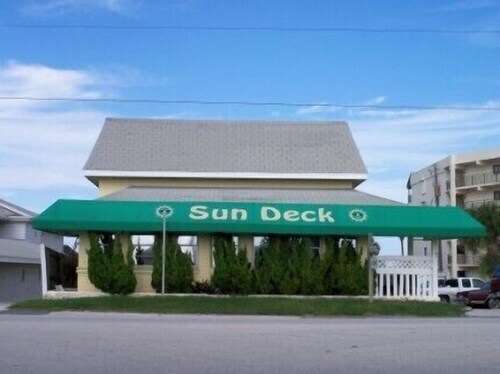 Great views, convenient to stores, friendly and helpful staff, easy beach access, nice pool beachside. Everything was nice and convenient. We only stayed 1 night. Breakfast was great and chef was a charm. NEW Listing! Spacious Condo With a Shared Pool and Free Wifi, Near Shopping!